Rupert Murdoch has confirmed that he is planning to split News Corp into two separate entities, subject to shareholder approval. There has been many a rumour that Murdoch wanted to distance News Corp's print business from its insanely profitable TV arm, after allegations of phone hacking hit the now-defunct Sunday paper News of the World. These rumours have proven to be true with the announcement that News Corp will be split into two companies, one which holds all television and movie assets and the other a publishing business in its own right. A statement has been released about the plans, which explains a little bit about what is being put into place for Sky TV and the like. "As a pure-play content producer and distributor, the company would build on its deep heritage in developing incredibly strong, premium content for distribution on screens of all sizes by leveraging its leading content across its entertainment and cable news verticals, as well as its unparalleled collection of regional sports networks, and the industry's leading movie and TV production and distribution company. "In addition, the entertainment company would benefit from its rapidly growing, high-margin cable network and pay-TV assets, and the distribution capabilities and opportunities associated with its unrivaled global footprint with significant scale across North and South America, Europe and Asia." It is thought it will take 12 months for the separation to go through. Speaking about the split, Murdoch said: "I am 100 per cent committed to the future of both the publishing and media and entertainment businesses and, if the board ultimately approves a separation, I would serve as chairman of both companies." 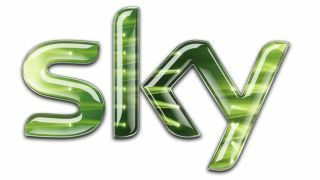 It will be interesting to see if the split ultimately means that Murdoch can take full control of BSkyB - the company in which News Corp currently holds a 39 per cent stake, but this was set to be upped to 61 per cent back in June before the hacking scandal took its toll.